Savannah, GA (June 26, 2013) -- An historic inns, members' collective -- Romantic Inns of Savannah, Georgia USA -- announces unique 2013 summer discounts to encourage a summer trip to Savannah, with lodging at the popular, privately owned bed and breakfasts in the downtown Savannah historic district. B&B lodging member of Romantic Inns of Savannah. In addition to Summer in Savannah lodging deals, a long list of amenity options highlight the generous southern hospitality found in Romantic Inns of Savannah. Take a glimpse at a new historic Savannah inns association video -- "Romantic Inn of Savannah: The Savannah Way to Stay." 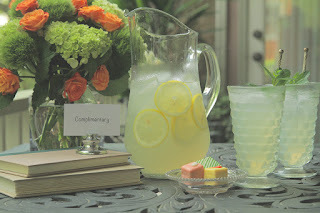 Summer enticements to travel to Savannah and incentives to stay in the stately to cottage historic inns range from a chilled tea party to a quintessential Savannah picnic, summertime discounts, and seasonal deals. Eight inns have posted a special offer on the association's web site -- romanticinnsofsavannah.com. "Clearly, the early Summer in Savannah'deals are our personal enticements to stay in our historic inns, and are our personal invitations to visit beautiful Savannah, Georgia -- a city we love enough to invest millions to live here ourselves," states the association's marketing chair, Jackie Heinz of Zeigler House Inn. "Summer is the best time to take full advantage of the best rates, an unhurried leisured-pace, gracious southern hospitality, and generous amenities our historic cottages and stately home inns," adds Diane McCray, innkeeper at Green Palm Inn and marketing committee member. Travel editors have encouraged travelers to book lodging in the historic inns. "Guests adore Savannah from the outside in. They love it more from the inside out with lodging in character rich bed and breakfast inns. Here history, charming comforts, and storytelling enhance the experience. We simply are adding our famously friendly invitations, especially to our loyal B&B travelers and to first-time bed and breakfast travelers," states Jackie. Summer in Savannah, frequently called 'America's most beautiful city', is a slower pace and less busy, less bustling and less packed. Along with the treasures that are classic Savannah, the National Landmark Historic District is where architecture, shopping, the arts and entertainment offer up something new and refreshing to do in Savannah any time of year. The multicultural cuisine is gaining in notoriety, especially in restaurants owned by the executive chefs. In addition to Savannah's shade from the canopy of grand trees, more cool spots are the art galleries and museums, restored mansion tours, and legendary pubs. Tybee Island beach and the delightfully fun options of getting out on the water supplement the nightlife and daytime culture in the heart of Savannah's fun city. Below are the first wave of summer specials from Romantic Inns' members. Follow the association on Twitter -- @RomanticInns and check the association web site for new offers, which will be updated throughout summer 2013. Events, festivals and things to do are also posted on the association web site. Free "Chilled Tea Party for Two!" now through August! 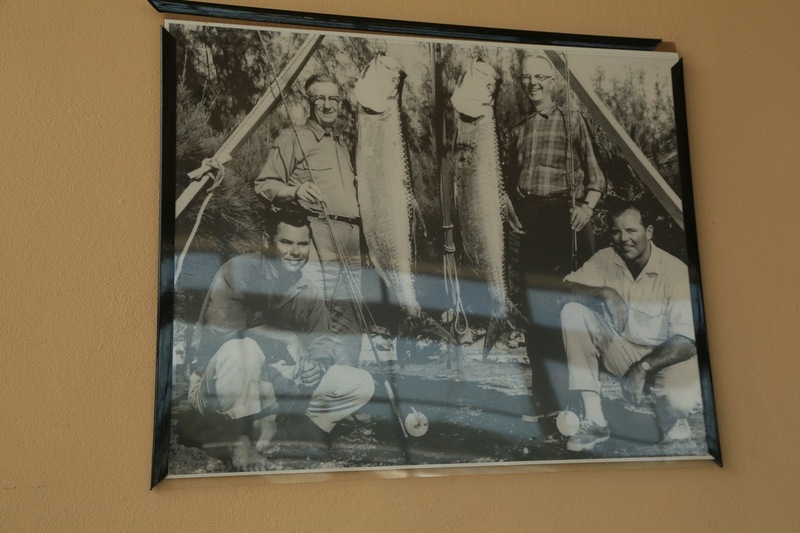 July 15 – August 29, 2013 stay: $159/night Monday -Thur. ; Fri. - Sunday 15% off high season rates. Breakfast & parking included. 866-233-5307 or 912-233-5307. June, July & August 2013 add a "Picnic for 2", plus Juliette Gordon Low Birthplace tour to your 2- or 3-day summer stay! Free with 3-night stay. $25 with a 2-night stay. Toll free 888-606-9510 or local 912-447-8901. Romantic Inns' special: All rooms 20% off. Rates for online bookings reflect discounted specials. Rates include lodging, parking, breakfast, hors d'oeuvres and wine. Toll Free 800-233-1776 or local 912/233-1600. Summer Special: ** 15% off regular rates on Sunday, Monday, Tuesday, Wednesday, and Thursday. In-room bottle of wine on arrival, complimentary silk rose petals on bed upon request. Call 912-232-9175. Summer discount: $25 off the total with a 2-night or more stay when you mention summer special at time of booking. Call 912-201-2128. Book 2 nights and get 50% off the third night. Book 3 nights, get the 4th night absolutely Free. Cannot be combined with gift certificates or previous reservations. Offer expires Sept. 30, 2013. Call 912-247-8254. Receive $25.00 off each room night between July 25 - August 28, 2013. Call toll free 866-900-1895 between 10 a.m.-8 p.m., Eastern time. 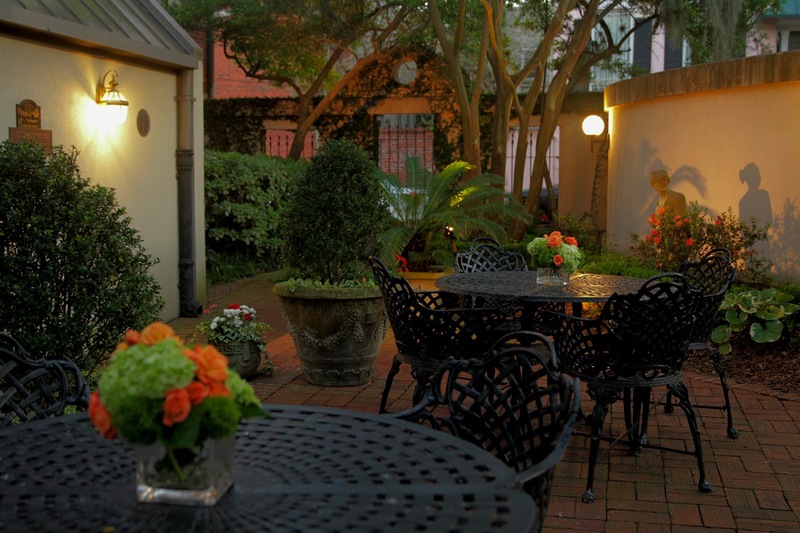 Mention offer, “Romantic Inns of Savannah summer special”. Add required 13% taxes (includes federal, state and local) to all specials and Savannah lodging rates. For more information, contact via Twitter @RomanticInns or use the contact form on the web site, here. SAVANNAH Georgia (June 5, 2013) -- Our Romantic Inns innkeepers have a great holiday idea for July 4th! Get away to Savannah and let our Romantic Inns' chefs host your guest lodging stay and do some fabulous southern cooking for your 4th of July holiday in Savannah! 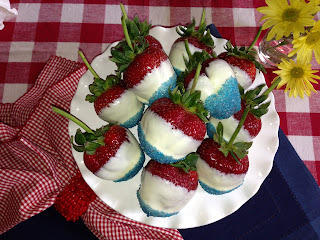 If that is not possible for July 4, 2013, we'll share (below) some favorite 4th of July recipes from the foodies at our member Savannah romantic bed and breakfasts. Innkeepers are trying their social media hands, too, in Pinterest. Check out Green Palm Inn's patriotic recipes in Pinterest. We'll be adding more innkeepers' recipes between now and July 4th. Please share your comments about these B&B recipes. **Not recommended for outside warm weather. Carefully wash and dry strawberries and set aside on towel. Chocolate will not adhere to wet strawberries. Line a baking sheet or cutting board with wax paper or parchment paper. Chop up the chocolate roughly with a knife if it is in block form. In a medium-sized, microwave safe bowl, melt the chocolate in double boiler pot or microwave. For microwave: Heat it in 45 or 60-second intervals, stirring between each time to ensure that the chocolate is melting evenly and not burning. Meanwhile, mix blue food coloring and white sugar into a small bowl to desired color. Set it aside. When chocolate is smooth, dip the berries 3/4 of the way into the chocolate. With the chocolate still warm, dip the tips into the blue sugar, and place on wax paper. Refrigerate berries until ready to serve. Season a rack of ribs to your taste. Pre-heat oven to 400F degrees. Place ribs (covered) in oven for 20 minutes. Reduce heat to 250F degrees and bake for three hours. Last hour of baking, apply the BBQ sauce of your choice. Serve immediately. Fool proof and delicious! Gently mix all ingredients together in a large pitcher and chill. Enjoy! they are the best tool in your kitchen. Add salt to taste. 3. 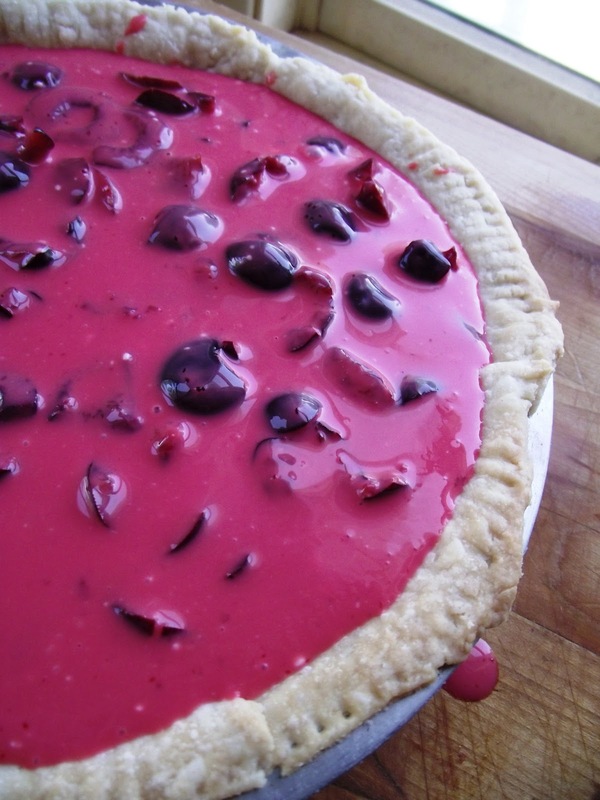 Cover and refrigerate up to 2 hours to allow the flavors to meld. 1. Put 1 inch of water in a large frying pan. Add ¼ teaspoon of the salt and bring to a simmer. Put the cod in the pan. Cook, covered, until just done, about 6 minutes. Remove the doc from the water and let cool. Pour out the water and wipe the pan. 2. With your fingers, flake the fish into a large bowl, removing any bones as you go. Add ¾ cup of the bread crumbs, the mayonnaise, lemon juice, egg, bell pepper, scallions, basil, parsley, cayenne, the remaining ½ teaspoon salt, and the black pepper. Stir until well combined. 3. Divide the cod mixture into 12 portions and shape into patties. Coat the patties with the remaining ¾ cup bread crumbs and pat off the excess. 4. In the frying pan, heat about ¼ inch of oil over moderate heat. Working in batches if necessary, fry the cakes until golden brown and crisp, about 2 minutes. Turn and fry until golden brown on the other side, about 2 minutes longer. Drain on paper towels. Serve with Lemon Mayonnaise or sauce of your choice. adding sugar slowly; then fold whipped cream into milk mixture. 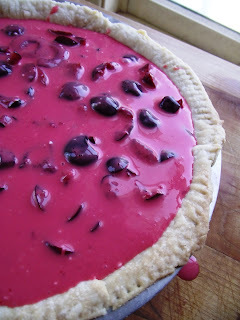 Pour mixture into 2 pie crusts. Chill overnight. Fill a 10 to 12 quart pot half with water. Add butter and salt and bring to a boil. Add potatoes and boil 10 minutes. Add fresh corn and boil 5 minutes, or 10 minutes for frozen corn. Add sausage and boil 5 minutes. 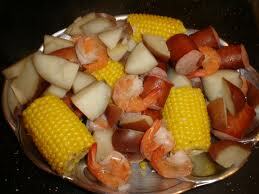 Add shrimp and boil 3 to 5 minutes or until shells begin to separate from shrimp; do not overcook. Drain and serve from a large bowl or tray. Wisk all ingredients together and you will have the best pancakes you have ever tasted. Serve with your favorite whipped cream. These are a real treat! Serves 6-8 guests. Whisk 1/2 cup green onions and next 7 ingredients in medium bowl. Cover and chill dressing. Do ahead: Can be made 1 day ahead. Keep chilled. Place all potatoes in large saucepan. Add enough water to cover by 1 inch. Sprinkle with salt. Bring to boil, reduce heat to medium, and boil until tender, 10 to 15 minutes (time will vary depending on size and variety of potatoes). Drain and cool to room temperature. Cut potatoes into 1/2-inch-thick slices and place in large bowl. Add dressing, peas, and blue cheese; toss gently. Cover and chill at least 2 hours and up to 1 day. Sprinkle potato salad with paprika and remaining 1/2 cup green onions. Romantic Inns in Savannah members send wishes for your enjoyable USA holiday and a safe 4th of July ... at home or vacationing! If we don't see you this July 4th, we'll hope to see you for July 4, 2014! SAVANNAH, Georgia -- Father's Day is Sunday, June 16, 2013. Who's shopping in Savannah for a unique Father's Day gift? QUESTION: "What is a favorite Savannah gift to give a man, say for Father's Day, birthday, etc.?" The early ANSWERS from our Savannah B&B members are fresh, and impress! We'll keep adding recommendations when we receive more replies. "An elegant escape you will long remember"
"A Victorian Bed and Breakfast"
-- "For my dad it would be a day of deep sea fishing off the coast with his two grandsons and, of course, his favorite daughter." "The Softer Side of Savannah"
-- Fly fishing with Unreel Expeditions or Sundial Charters, Fishing and Nature Tours. Did you know that Dolphin sleep with 1/2 of their brain at a time? One half remains awake to remind the other half to return to the surface to take a breath. -- Day trip to Daufuskie Island with Daufuskie Discoveries. "Yesterday's Ambiance in an 1883 Home with All Today's Conveniences"
- A gift certificate to Home Depot, the idea of heaven for most men! Of course, we'd love for you to consider the gift of travel. Each Romantic Inns' B&B member has bed and breakfast gift certificates, which would make a lovely Father's Day gift!